Guide price is per person. Based on 4 people sharing for 7 nights on Self Catering. Departs from selected UK airports. Please call for more details, dates and durations. The popular Parque de la Paz offers the best of all worlds. With an option to be independent and enjoy self catering or indeed have your food and drink included with an all inclusive option. 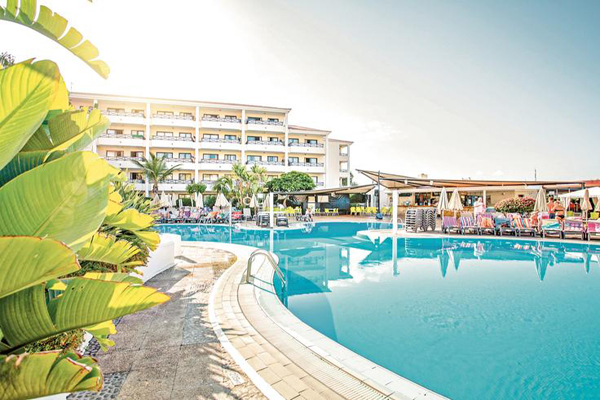 There are plenty of shops, bars and restaurants on your doorstep and the centre of Playa De Las Americas and Los Cristianos are both close by and can be reached by the seafront promenade. 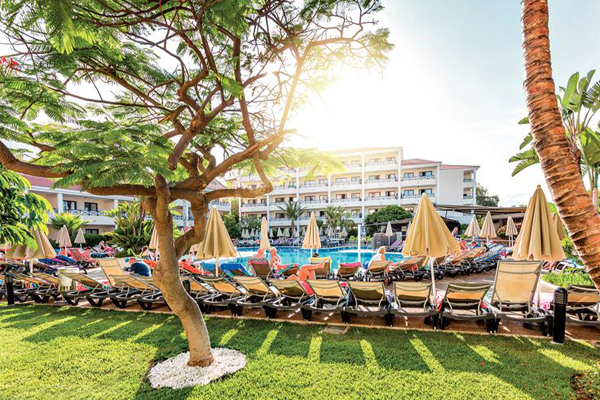 Board Basis: All Inclusive, Self Catering and Half Board are available. Location: 250m from the nearest beach and local restaurants, bars and shops • The nearest supermarket is 100m away. 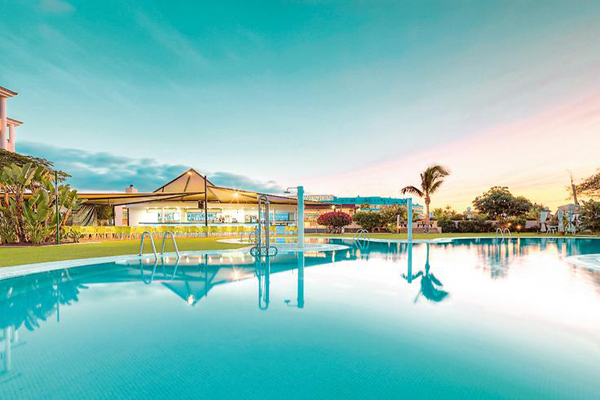 Facilities: Outdoor swimming pool • Shallow splash pool • Sun terrace with sunloungers and parasols • Buffet restaurant barbecue restaurant • Snack bar • Pool bar with satellite television • Waterpolo • Aerobics • Aquerobics • Darts • Hotel−run kids' club (4−12yrs, May-Oct) • Playground • Cots • Wi−Fi. PAYABLE LOCALLY: Pool table • Bottled water • International drinks • In-room safe. 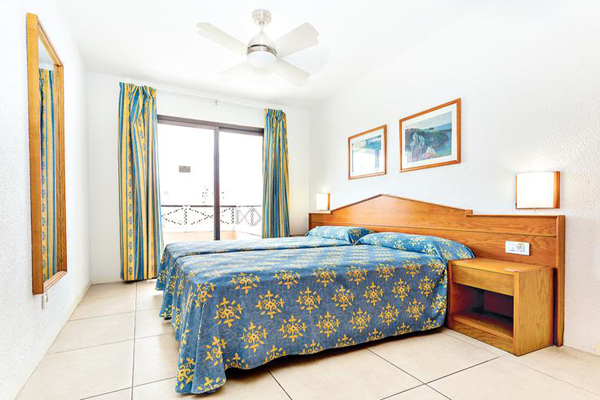 Rooms: One bedroom apartments (four adults) with twin bedroom, living area with sofa bed, kitchenette (with cooking rings and fridge), flat−screen television, bathroom with hairdryer and shower over bath and balcony or terrace. AVAILABLE AT A SUPPLEMENT: Two bedroom apartments (six adults) with an additional twin bedroom. 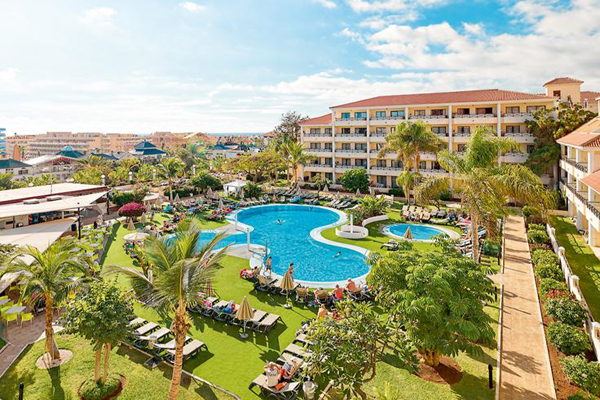 All Inclusive: Here are just a few of the package highlights: Buffet breakfast, lunch and dinner • Locally branded alcoholic and soft drinks 10.30am-11pm • Snacks served at selected times between meals • A variety of sports, games and activities • Daytime and evening entertainment programme.